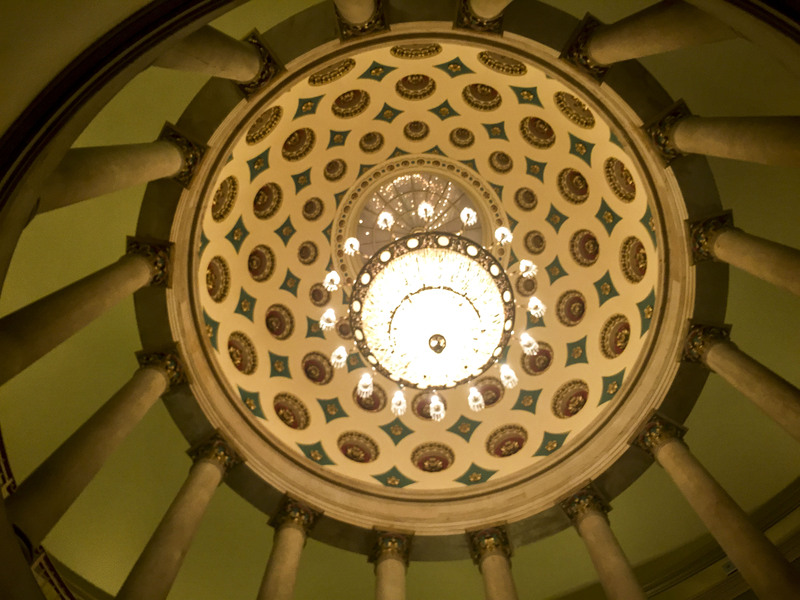 it is an odd little place, tucked into a corner of the U.S. Capitol. It is a remnant of the original building dating before the British burned it during the War of 1812. The skylight once lit a stairwell. Now it sits on its own, deemed to narrow an exit after the fire.